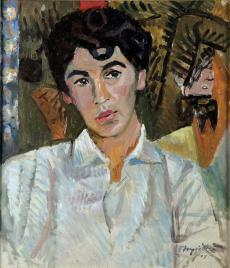 Of Cypriot origin, Mavroides was self-taught as an artist. 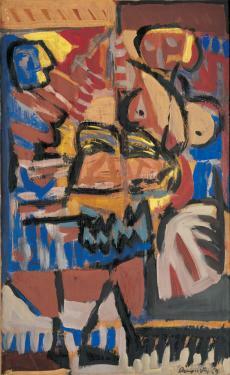 He combined in his work Expressionist and Abstract elements. His works in the A. G. Leventis Foundation Collection have a variety of subjects ¬– portraits, landscapes, still lifes and nudes – made with diverse media (oil, watercolour, tempera, gouache, mixed media). 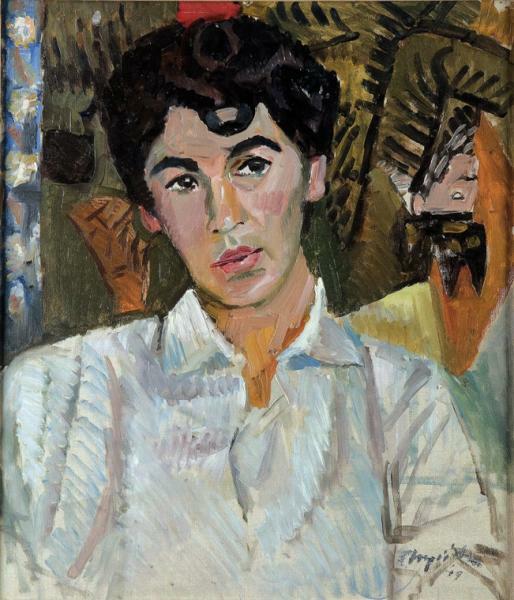 The Girl in White Shirt (1949) and Women-Wasps (1959) are ten years apart: from the expressive woman’s face, with dark-brown eyes, rendered in visible brushstrokes against an undefined background with angular shapes in the former, Mavroides gradually shifted towards an abstractive language and formed an expressionistic vocabulary; the later work has vivid colours and black in bold combinations in larger surfaces, with broader brushwork, freely conveying the figures, whose main features, although heavily distorted, remain recognisable.